For the last 4 decades Zinck's Fabric of Ohio has been involved in every aspect of the fabric industry. 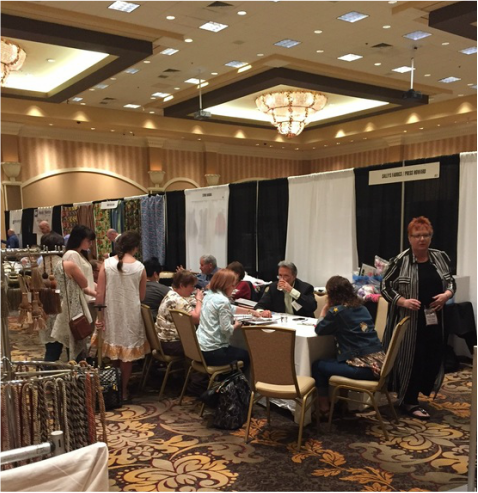 We've been a buyer, an exhibitor, and a host at numerous fabric and textile shows and have sold wholesale and retail since 1979. This experience has given us the knowledge of what customers and vendors alike are looking for in a fabric show. We understand what works and what doesn't. Our goal is to offer the best shopping experience, in the best location, with premium vendors from all over the country; and we are doing all of this at no cost to our buyers. Our only request is that you register with us before the event. This event will run bi-annually, with one show in the early spring and one show in the late summer. With your help as a valued buyer or vendor we can make this show a success for years to come.